Moziban, with a sting in the tail! Where’s your next sale coming from? The perennial question: which marketing channel is delivering sales? Well, if you knew the answer, it would make things a whole lot easier. You could focus on the channel that’s getting you the business and save on the rest. But in reality, for most businesses, it’s just not that simple. There’s a bit of marketing jargon that has been around for a bit now – it’s rather misunderstood, and in my opinion it’s also very important. So what is Attribution and why does it matter (to you!)? Before someone purchases a product or service, they are exposed to numerous marketing touchpoints. 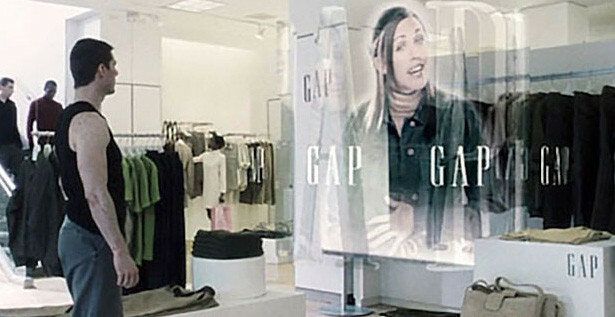 And these touchpoints include everything from TV advertising, comparison sites, reputation sites, Amazon, trade press, outdoor posters, email marketing, Facebook advertising – in fact, any marketing channel. Attribution is the science of assigning a value or a credit to the touchpoints before the customer makes their purchase. And, if done correctly, then the value of that credit is assigned proportionally to each touchpoint according to its influence. Think about it. If there was only one marketing channel and you got all your sales from that one channel, it’s not rocket science to work out what’s working for you. So ask yourself, what led to your last customer saying ‘yes, we’d like to work with you’? Is Attribution a new thing? So even back in the advertising dark ages, understanding what was really driving sales was on the agenda. What has changed dramatically since then is our dependence on the online world. And whether you like it or not, we’re just at the beginning of this rapidly evolving marketing maelstrom. And perhaps the biggest change, and I think it’s a truly insidious one, is the way in which targeted messaging will continue to evolve to deliver what advertisers know we like or want. Alexa and Google Home anyone? Targeted messaging? Remember Tom Cruise getting his eye scanned in the futuristic film Minority Report? The poster site scans his eye and delivers targeted messaging to him. An important point to remember. Think about paid advertising on Google for a moment. You want a service or a product, it could be a solicitor or a trampoline! You bash in ‘divorce solicitor Swindon’ or ‘cheap trampoline’ to the search engine. Google delivers the results, you click and you buy. Simple. So that’s called ‘Last click attribution’ and it’s a fundamentally flawed model. Obviously Google think it’s pretty cool, as they pick up 100% of the credit (or attribution). I recently heard this story at a conference run by my friends at SearchStar – they are a very capable and respected PPC and digital media agency in Bath. Think about who stands to gain by claiming a sale is attributable to their marketing channel. Exactly – it’s the owner of the channel and it matters A LOT! So remember Attribution is a flawed science and the likes of Facebook et al will do all they can to pick up credit, even if it’s not deserved! Yes, it’s true! There is a bigger picture here, away from online and blurred statistics. It’s not about whether you pay for any online advertising, or how much you spend on SEO or other forms of advertising. Rather, it has to do with reassurance. Most of you reading this will be in business selling a service. That could be accountancy, training, printing, legal services, advertising and marketing, dentistry, hospitality, recruitment, catering, even funeral services. The customer journey starts with a defined need. The customer then starts to look for the service or product they want to fulfil the need. And they find your business (you hope!*). So it’s a done deal, isn’t it? Emphatically not. The potential customer needs to feel reassured that you can deliver what they need. And if you’re not looking great for every touchpoint, then it’ll be your competitors that will be sending the invoice out. So what builds this reassurance? Well this is a big subject and you can read more about reassurance in my other blog posts. Needless to say, it isn’t you saying that you’re passionate and you care and you listen. No one cares about what you think! -Perhaps your prospects don’t trust you? -Perhaps your marketing is just too dull? 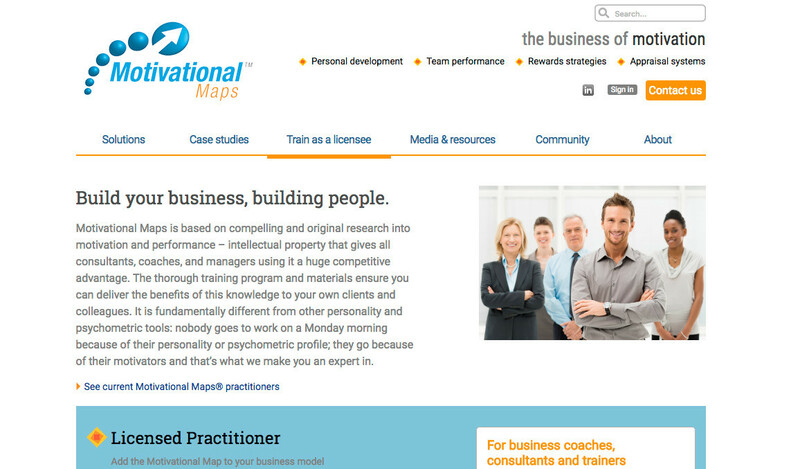 -Personality: Why it matters so much for businesses selling high-value consultative products and services. So how does this link to attribution? It’s all about not getting bogged down in the jargon and the metrics. You can spend a fortune getting the customer to your business. Be that through any number of marketing channels. Attribution is crucial if you want to understand where to spend your marketing money. But you need the fundamentals sorted first. So where IS your next sale coming from? 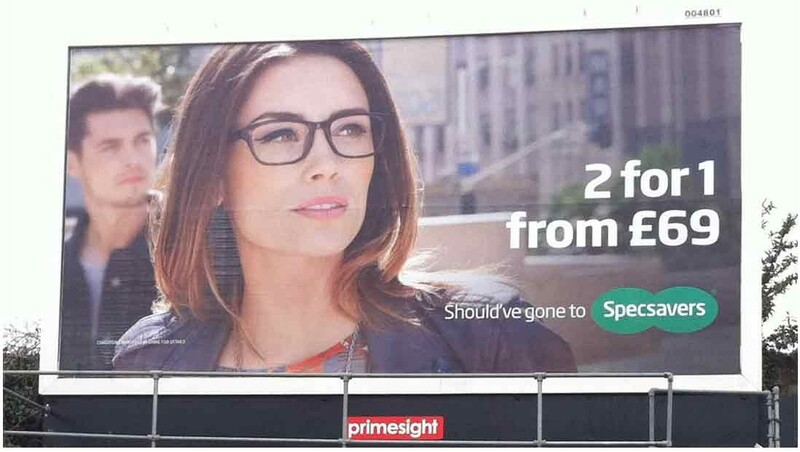 Well, that depends; if you’re not looking the part, and if your potential customers are not impressed and reassured, or if you’re too expensive and if you don’t, on the surface, seem capable, they’ll walk on by. If you’d like to talk to me about how your business looks, please do get in touch. Is social media just a costly business distraction? For those that know me, you’ll have heard me wax lyrical about ‘content’, ‘messaging’ and how content needs to be interesting. And now, with the power of online, how the simple rules of marketing have been relegated to the bottom of the pile or even forgotten. Social Media is one of those marketing channels that nearly every business thinks they need to be using, yet so few get it right or even begin to understand how it needs to fit into the bigger marketing picture. In this new world – the world of online – it’s not often I bump into a social media provider that talks my language. I bumped into Andrea Hewer recently and she agreed to share her thoughts with me in the blog below. I hope you find it interesting and thought-provoking. If you’d like to know more, give either Andrea or myself a call. Please note; Andrea specialises in the high-end hotel, restaurant and hospitality sector. If this mirrors the thinking in your business, then you are not alone and your social media is not being developed creatively or managed well. Sorry, it’s not about you, it’s about your end user, potentially thousands of past, present and future hotel guests, restaurant or inn goers who love your or your client’s place and who enjoy interacting and booking via social media. 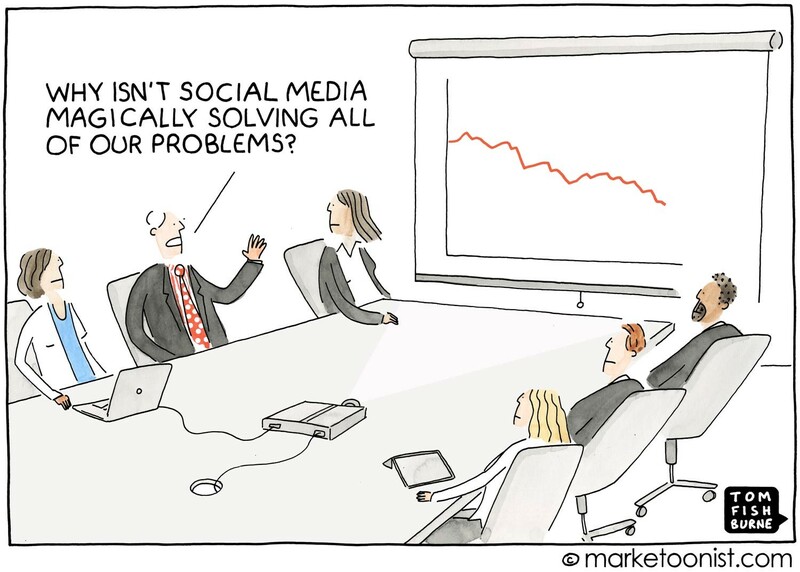 Time to revisit social strategy and kick in with some much more meaningful, trackable KPI’s. On the face of it, the nurturing of online brand honeypots, brimming with brand fans, is so alluring. Many hospitality business owners who have prodded the beast awake though have been met with more of a squeak than the roar that they expected. Managing enticing, service-led accounts in-house, on a daily basis, is easier said than done, especially with marketing team members coming and going, and trendy agencies rarely do consistently deliver the ‘extension of brand excellence’ needed. So, what are the answers? Engage with the engagers. Attend to every social media mention of the business, negative or positive. Never assume that extending a brand to social media is a simple job, deliverable by the office intern or someone’s son/daughter because they can work the tools. Appoint proven, super-experienced, ‘emotionally intelligent’ (we hate that phrase too), highly organised operatives, well versed in broadcasting and responding live in a strong, pre-agreed brand tone of voice, day and night, 365 days a year. Field booking enquiries well. Extend your amazing core service levels to social media with a tight online concierge framework, more strings to your social media managers’ bows. A community of ‘regulars’ will follow. Start tracking monthly Reach and Engagement with notes on what’s working. Build on any successes. Test. Don’t be seen too sell too hard. Just share what’s good about your good place and products in well-crafted words images and video and they will come. Build communities organically by implementing follower and following management – reaching out and connecting. Remember that social media, managed well, can be an enormous force for GOOD business development. Reach (unique users who may see several Impressions). Some very healthy social media accounts (in terms of channelling web traffic and sparking ‘delight’) can have a low Following quantity and comparatively high Engagement numbers. If Engagement is low and flat-lining, content quality and frequency must be reviewed and adjusted until Engagement rates lift. Another off-pat response to building more social success is to artificially increase Following by applying some ‘Competitions’. Think carefully about this. Yes, competitions can be dynamic in quickly building high volume of following (i.e. follow and share to be in with a chance of a freebie) and the inflated ‘perceived popularity’ may be seen to be a good thing on the surface but the result is over-estimated – ‘hollow follows’ from people who are out for WIN and FREE result in weak social communities, ready for a bargain. Instead, major on more brand-enhancing storytelling interspersed infrequently with clever offers. Genuine fans will then follow, albeit at a slower rate. How are Engagement, Reach, Impressions (and Following) statistics monitored for all our social media accounts? Andrea Hewer at Hewer Social majors on the high-end hospitality experience, providing all of the above and more, working autonomously but at the same time closely with brand ambassadors and PR/Marketing teams. Detailed, key statistics are provided monthly in a Group report showing % growth across Engagement, Reach, Impressions and Following, covering multiple social media platforms either for a single property (hotel, inn or tourist destination) or for a small group of hospitality businesses. Link tracking and Google analytics monitoring with the core marketing teams can then form an intelligent suite of ‘what’s hot and what’s not’ and throw light on the success of any adjacent PR & Marketing pushes. Social media is just a costly business distraction! No, it’s a powerful, yet complex tool set that, when done well, can actively support and develop business. Hopefully not after reading the above. There is a place for our business in this exciting and rapidly growing environment. I’m confident that our social media experts are doing a great job in spreading the word about our amazing place, products and people and fielding all the attracted interest in our business. These are public forums for people saying bad stuff about my business, unchecked. We have some very tight guest relations processes in place with our social media people so we pick up all negative mentions of our business and invariably convert the negatives to positives. It’s questionable if it’s having any positive effect on my short term or long term business objectives and is proving to be an increasingly time-consuming distraction for my busy teams. We definitely do see an uplift in offers and events interest, and overall sales and positive PR has been increasing. With supported and supportive employee groups focused on social media content contribution and community feedback, the cultural impact on our teams is very positive’. Social media’s a vital element of our Marketing mix. This is a healthy ‘must-have’ for our place and people! 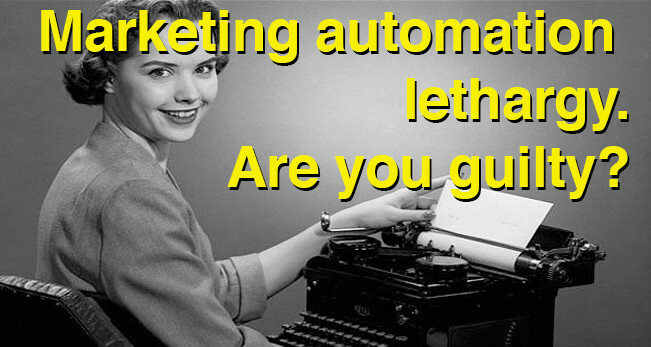 Marketing automation lethargy – are you guilty? Overall point: Marketing automation is a powerful tool, and with great power comes great responsibility. When marketing processes are automated successfully, automation is a significant benefit to businesses. It frees up valuable time, removes the need to manually complete onerous tasks and should make your customer’s journey to the point of purchase and beyond seamless. When marketing automation is done badly, the results can be embarrassing to the company and irritating to the customer or prospect. Getting the basics right can help to eradicate the errors and frustrations of poor marketing automation. The checklist below will help to put key elements in place to ensure success. Automating elements of your marketing, such as how your website works and your email marketing doesn’t just make your life easier it should do the same for your customer. A series of well-targeted emails when a customer signs up to your mailing list builds a relationship between the customer and your business. It also helps to personalise your customer’s experience and push prospects along your sales funnel by keeping your brand front of mind. Internally, automation removes the need for repetitive processes to be completed manually. It frees up you and your staff to focus on more creative tasks, or to devote your attention to customers that are at a crucial stage in the buying journey. Keep in mind however that the machine of automation needs constant feeding: from set-up to maintenance, you’ll have to put in the same degree of effort that you want to see out. While you won’t have to complete manual tasks you’ll still need to create good content and quality messaging. Business or consumer; product or service? Let’s pause for a moment and consider why the nature of your customers matter – and the nature of your product. For businesses selling products and services to consumers, an extra 10% off sale items could just be the tipping point that prompts that customer to buy the item they’ve been eyeing for a while. Likewise, an online office stationery company offering bulk discounts on toner could just dissuade the person with the chequebook from using a stationers down the road. For businesses selling a high value service, automation can prove trickier as buying decisions are likely to be more complex than a matter of cost. Messages every seven days with your weekly specials are too much if you’re selling a high-value consultative service. You need to show your value in other ways with drip-fed, quality content. Goal: Have a clear, achievable objective in mind. Everyone wants more leads, more customers and more sales! Strategy: A detailed outline of how you will achieve your goal will put you on the road to success. Consider who your customers are and how you can add value. Create a plan that supports that and how marketing automation will help you achieve it. Analyse: Look at what the metrics are telling you. Stick with what’s working and trim what isn’t. Adapt as necessary and don’t be sentimental about something that isn’t working. The most important thing to remember is that while automation may be performed by machines, the people you are marketing to are just that – people. Just because a technological tool allows you to send marketing emails or SMS messages every minute of the day, week or month, don’t! Just because it allows you to personalise your communications to the tiniest detail, don’t go overboard. Think about how you would like to be treated and apply a bit of caution and restraint to your methodology. Less is often more! The temptation to get carried away with what the technology allows you to do can be hard to resist; overlooking the basics could do more harm than good, so resist you must. You’re not Amazon – yet! When big data and automation get together well, it’s a formidable force, as anyone that’s ever had dealings with the likes of Amazon will attest. Marketing automation is so prevalent now that it’s just a part of our lives – another way in which companies communicate with us. The key is to consider what marketing automation will add, and what it might detract. For businesses that aren’t of Amazon-esque proportions the human touch is one of their greatest assets. Think carefully before eradicating those qualities. Because when automation falls short of the mark the outcome can far outweigh the intention, becoming equal parts off-putting, confusing and annoying. Is that how you’d like customers to view your brand? If you’re interested in this topic, why not call me for a chat – I’d welcome the opportunity. Perhaps your prospects don’t trust you? If your potential customers don’t trust your company, you’re going to have a hard time winning new business, and that’s as true for online retailers as it is for businesses not directly selling via their website. Prospects need reassurance that your business can deliver, and they’ll scrutinise your business online, long before they’ll pick up the phone or write an email to you, so they need reassurance that you can deliver what you say you can. It’s not just about working hard to build a good reputation; you have to provide hard evidence of that reputation. The online marketplace eBay is a prime example of how to build a reputation and use it to reassure customers that you’re a reliable person to buy from – you probably wouldn’t buy from someone who had lots of negative reviews after all. And it’s not just businesses that sell products that should bear this in mind. Service-based businesses are equally, if not more, dependent on this vital currency of trust. And while eBay might seem a long way away from your business, just go with me for a moment and think: would you spend £275.00 on a second-hand camera lens with someone you know nothing about? You’ll be sending the money before you get the lens too! Have a look at my eBay reputation, bellow, as a seller and make your own judgement. In the sometimes grubby world of eBay, reputation is key and like many people, I’ll not deal with someone who does not have at least 10 transactions behind them. It’s clear that businesses need to reassure their customers what they do, where they add value and that they are credible. Before trust is established, it’s important to consider exactly why it is so important; not just for businesses selling to a buyer, but why it matters to us humans generally. Reputation also governs how commerce works, as is evident in any of the two billion transactions that occur through eBay every day. A good reputation equates to trustworthiness, and the condition of being trustworthy equates to customers spending their money with you. Hard-won and easily lost, reputation, and subsequently trust is the ultimate currency for businesses. Without it, you’re going nowhere fast – especially online, where customers can pull up a plethora of information about you at the click of a button. The reality is that few reading this blog trade online. But think for a minute: where will your potential new clients scrutinise you and your business first, before they call you or write an email to you? Yes, that’s right, they’ll look at your website, look at your people, look at any video testimonials, check out the directors on LinkedIn. And every one of those avenues is online. And each is an opportunity for you and your business to stumble. What does trust look like? 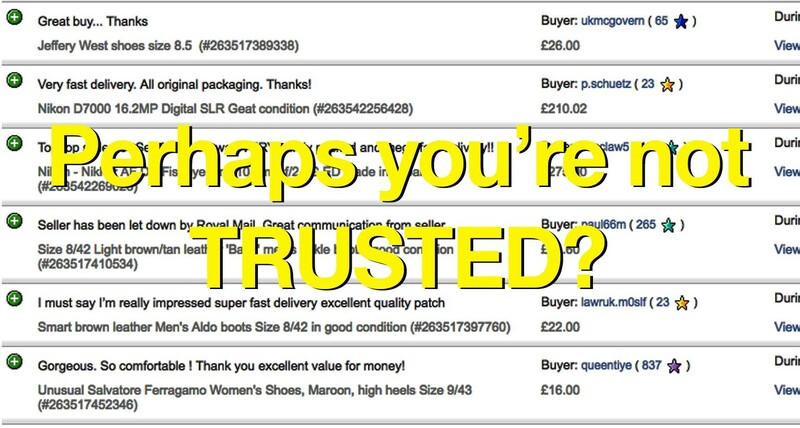 For businesses trying to build trust online, there are some things to think about which will help to bolster your reputation. Being based where you say you are: Try looking up your business on Google – What little picture does Google show in the search results? Is it a just a house on a residential street? Who works for your business and how big is it? Often companies feel the need to be bigger than they are, yet so often it goes wrong and gives the wrong impression. Be honest – it’s the best way. A real person: There’s nothing more disheartening than an absence of real people on a website. And that’s especially important if you provide a professional service. The stats say that if you have a ‘meet the team’ heading in your top navigation on your website, 37% of your traffic will have a look there. Customers want to know who they are dealing with and putting a face to the company name lends your business that all-important humanity. And if your business is large enough that it’s simply not practical to include everyone on the site, then make some concessions: feature the directors, star employees, even including a little company history is better than nothing. No people on a website plants seeds of doubt about how trustworthy a company is: what exactly are you hiding? 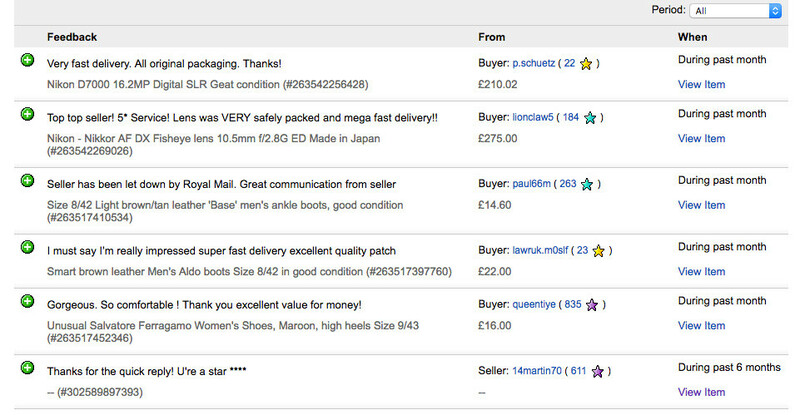 Provide lots of information: If you are selling things online, customers want detail. They can’t physically touch the item or see it in person so they rely on accurate descriptions, detailed specifications and images. Providing that little bit more detail, such as a selection of photos from different angles instead of just one. increases the customer’s faith in you and helps you to win the sale. More than pretty pictures! : Web designers love pretty pictures! Yet so often irrelevant imagery gets in the way of a strong message. And if you can’t cleverly articulate what you do and where your business adds value, you’ll not be building your reputation either. 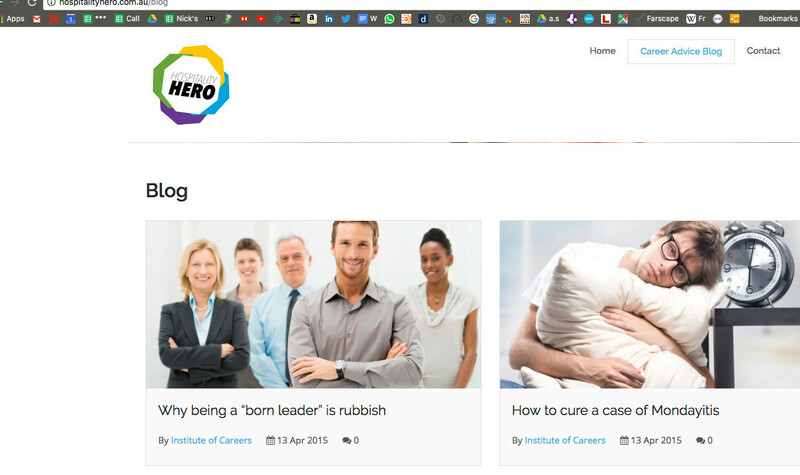 Have a look at my blog about ‘Personality’, and then look at your website. And consider my challenge to look at the imagery on your home page and ask yourself what function it really performs, and then look at your messaging and ponder: does it really entice the website visitor? After delivering on what you promise to deliver, the evidence is perhaps the single most important factor to building trust. Show, don’t tell. It’s not about you saying how great your product or service is, it’s about people making up their own mind about you. Reviews are a fantastic way to do this, testimonials and star ratings are equally viable. On e-commerce platforms such as eBay, the whole buying and selling principle is based on reputation. They say that your customers are your best salespeople and if prospects can come to your site and see that other people have been satisfied by what you provide, they’ll feel happier to part with their cash. • What did clients like about your service? Was it friendly, did you go above and beyond, are you offering something that nobody else does? • What did participants get out of your course? Has it changed their outlook? Are they healthier, happier, or better off financially? • What pressures does your maintenance contract take off your clients? Does it save them money in the long run, or time, or hassle? If you don’t take care of your online reputation, your business will suffer. Whether or not you trade online, whether you sell widgets or a bespoke service, reputation and the level of trust that ensues is a deal breaker for customers. Shakespeare and eBay are unlikely bedfellows yet demonstrate that reputation and business are wholly united. Without a good reputation there’s no reassurance to customers, and without reassurance, there’s no trust and certainly no sales. If you’d like to know more, or you’re interested in receiving some constructive criticism about your online image and reputation, then why not get in touch, I’d be happy to have a conversation with you. What’s the right price to pay for a new website for your business? This seems like an eminently sensible question to ask. After all, everyone needs a website! Yet in my experience, trouble starts early on in the process. Perhaps you’ve heard some of the below? I know a guy that’s really good at websites. Our site needs to be mobile friendly. Can’t we build this in-house? WordPress is good because it means we can build and edit the site. Can’t we just update the old site? I know someone that’d do a new site for £250. Let’s ask the staff what they think. 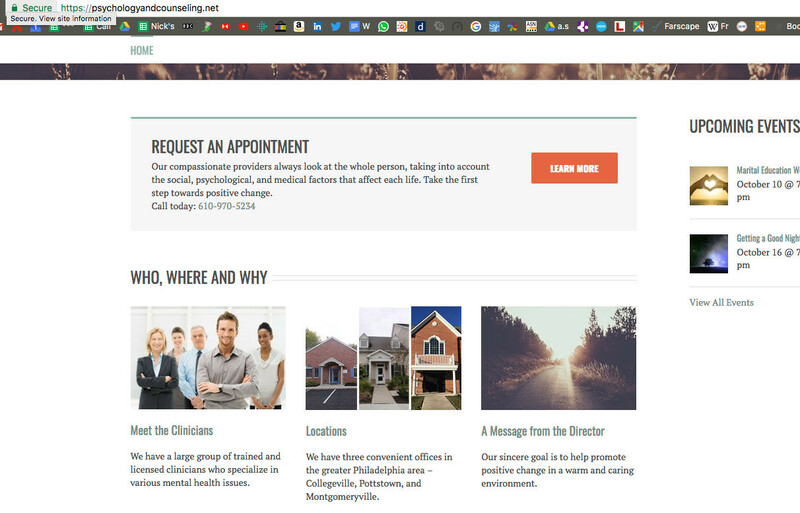 Don’t we need two websites, one for each service? And it also seems there are a lot of ‘have a go’ experts on hand in the company too! But wait – no one has asked the BIG question. 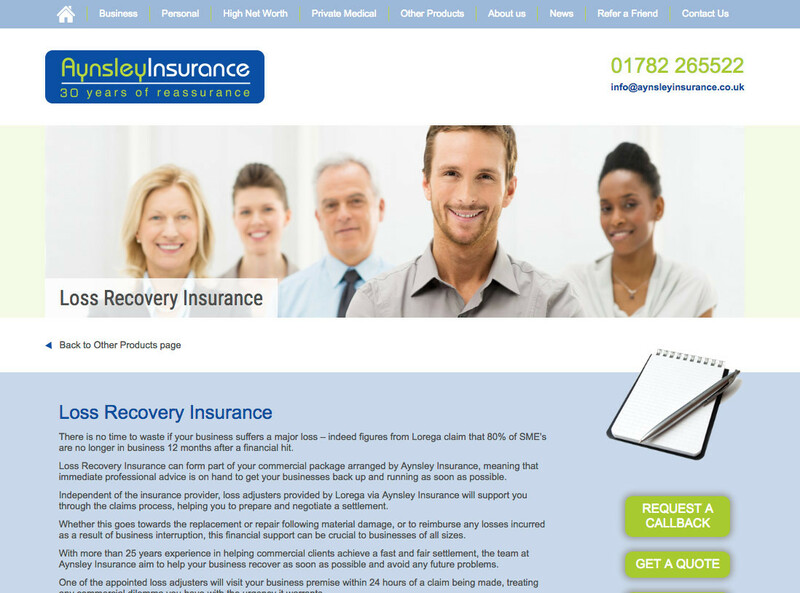 What’s our website for, and how well does the existing site perform? Actually, it’s two questions. And there are other questions to ask too. And they all need answering before we can touch on the question that forms the title of this piece. 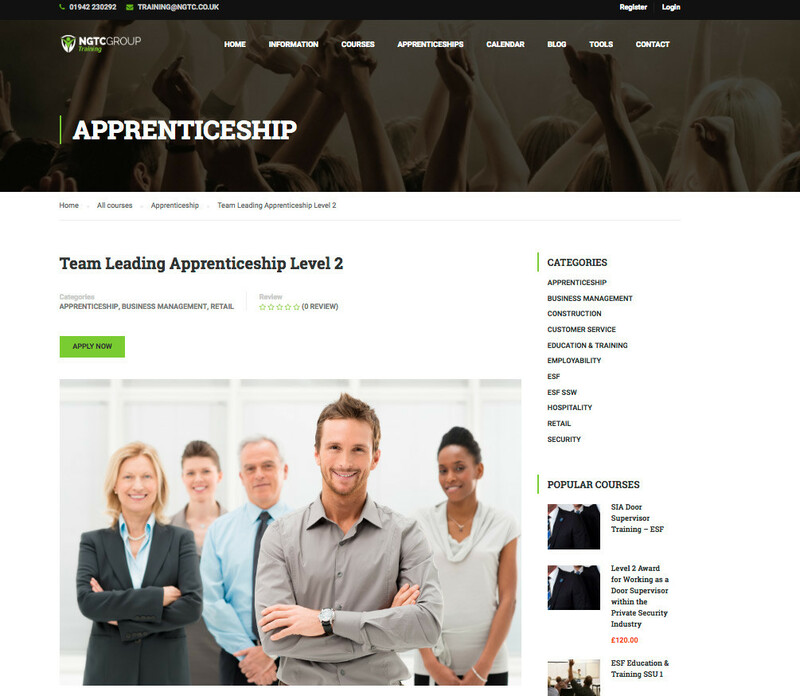 Broadly websites for businesses split into two areas. B2B and B2C. I’m making this distinction so as to exclude any websites that are information based only, Government sites etc. But I’m going to make another important distinction too. Companies that sell a service or unbranded product such as a firm of accountants, or a specialist bakery, and companies that sell a branded product, such as BMW or Boots or Amazon. My expertise lies in the field of B2B businesses selling a service, or unbranded products, and my feeling is that many of you reading this will fall into this category. So, let’s ask the BIG question. What is your website for? (I’ll deal with the ‘How well does your existing site perform’ in a separate article). It’s about reassurance. Will the people visiting your website feel sufficiently reassured to take the next step and have a conversation with you, leading (you hope) to a sale? Perhaps they search for a ‘training company’. The Training Manager types ‘training company Birmingham’ into Google. Maybe the MD reads a post on LinkedIn and clicks the link – she ends up reading a blog written by ABC Training and then clicks the link and arrives at that company’s home page. Perhaps the MD receives an email marketing message that catches her eye and she clicks the link – she ends up on the homepage. It could be that Sarah, the MD, meets the training company’s MD at a networking event – they swap business cards. Sarah checks them out online. Or maybe the training company’s outbound calling team call and leave a message for Sarah. Sarah has a look online. There are just so many different routes people take to end up on your website (see the recent blog on ‘Attribution’), but one thing is pretty consistent – people are going there because they are broadly interested in what your company does. When they do land, you’ve got just a couple of seconds to reassure them that it’s worth looking a little deeper. And that really is the point. Here’s a thought. Have you opened the door to an unfamiliar pub, restaurant or shop only to turn your back on it and walk away? We all make snap judgements in just a second or two. And your website is just the same. I look at many Google Analytics accounts and it’s not unusual to lose a homepage visitor in less than 10 seconds. In fact, the average is the wrong side of 60%. 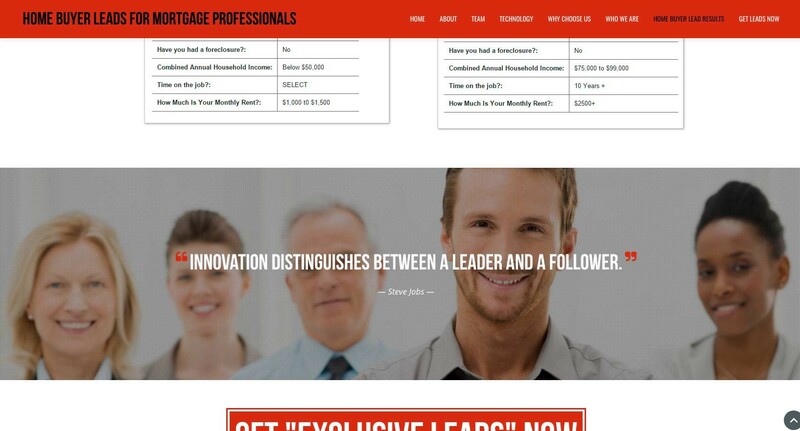 60% of homepage visitors leave in less than 10 seconds! Once the visitor feels like they may have arrived at the right company (because they can see what your company does, where you add value and they ‘feel good’ about how your site ‘feels’) they may look deeper, continue to feel engaged and then, hopefully, get in touch with you. “To reassure our visitors sufficiently, so they take the next step” and after their first dalliance, “dig a little deeper”, then clearly the first job is to gain a detailed understanding of how this reassurance might be achieved. 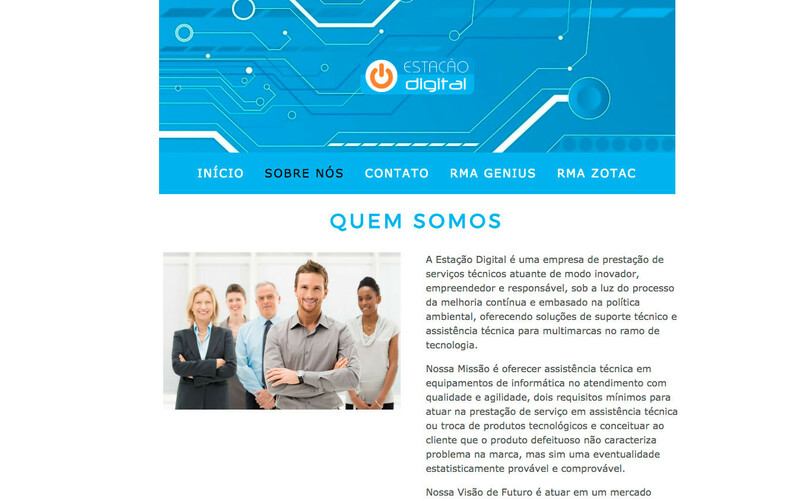 So often companies go out to website companies and end up with a quote to ‘do a new website’. And despite some reassurances, about ‘understanding your market’, I have yet to meet a digital company that really do understand how the messaging needs to work. And remember, messaging must come before creative execution and website build. So some budget needs to be allocated to getting the messaging right, to build on what I mentioned before: the initial reassurance, leading to further engagement. It’s worth remembering too that people might be directed to different parts of your website via links from LinkedIn or email marketing, and it’s then important to remember that these ‘linked to’ pages are in effect, ‘homepages’ for these visitors. Once the crucial messaging has been resolved, it’s then the time to talk to a website company that can design and then build the site. Design and build are distinctly different jobs. Think architect and builder. Would you really entrust both to just the builder? Trust me they really are two different skills! Ask a few web companies you like the look of how they work, taking into account the points I raised above. Remember, if all they have on their home page is a massive image of a video that seems to have little relevance, you might wonder how important messaging is to them! Next look at the quote they provide. You’ll need to let them have some idea of the number of pages – or sections (sites are now more scrollable than ever before, catering for mobile compatibility that becomes more important every day). Within the quote, can you see any insight demonstrating that they understand your market? Have they talked to you about the words or copy – and the all-important proposition you’re planning on putting in front of your potential customers? A good website is not just a slick collection of fancy images and clever functionality! The one thing I always look for is how important I feel when I talk with the company I’m interested in. If they seem less than very keen, then it’s not going to work for me. Talk to some of their clients anonymously too. How has the service been a little further down the line? What was the process like and were there healthy two-way conversations? And the price? There really is no simple answer. It depends on the size and functionality of the website, and that is driven by the complexity of your company. So get 3 or 4 prices. The way the quote is written and structured will also help you see how well the supplier has listened to your needs. And perhaps how well they know your market. Taking all of the above into account, the provider you chose should be driven not just by the cheapest price, but rather by the company that will do the right job for your business. If you need more insight, just get in touch – I’d be happy to have a conversation with you and if I can, point you in the right direction. Who do you think your competitors are? So, why does it matter who your competitors are? And if you’ve got some work coming in, well, why stress about where the next sale is coming from. There was a great piece I read a while ago about the role of the ‘Product Manager’ position in a company. You know, the person that is tasked with getting the product portfolio to market. And that could be anything from Rice Krispies (something you can touch) to life insurance (something you can’t!). The point here is that rather than having a product or service and trying to sell it, why not become a Customer Manager, find out what your customers actually want and then satisfying that need. Who do you think gets to be the winner? I’ve seen it all too often, the more traditional company continues to do what it has always done. The forward-thinking company looks to ask questions and looks at what the competition is doing, and how much they are charging for it! So, who are the ‘we didn’t see it coming’ companies and what could they have done about it anyway? 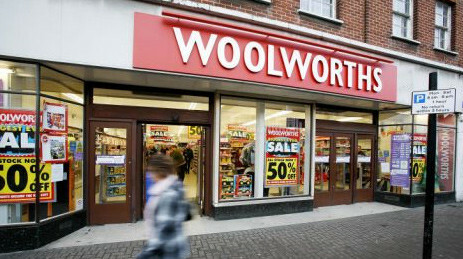 Many are some of the big national brands like Woolworths and Red Star*. Woolworths simply didn’t see the growing power of the supermarket chains who encroached on their territory, to the point where their market voted with their feet. Red Star Parcels was a great idea. Put a package on the train which is going to Birmingham anyway and let the recipient know it’s on its way. Now, all that business is trawling up and down the motorways in lorries instead. Red Star was too slow to enhance its service and just didn’t see the plethora of overnight carriers emerge. 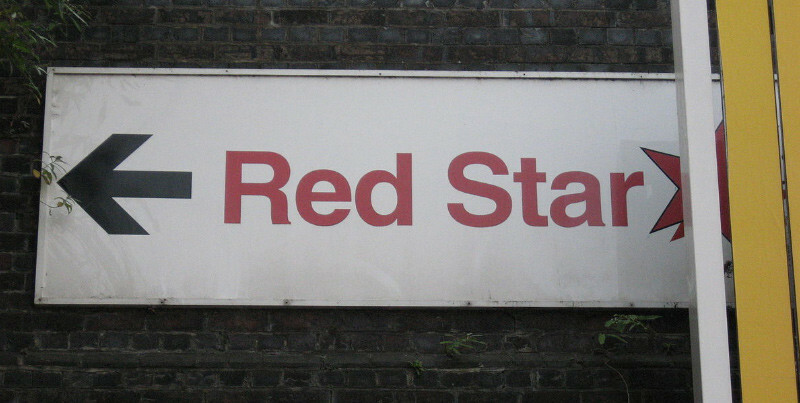 *Red Star Parcels was a service which used passenger trains for transporting parcels between passenger railway stations throughout the United Kingdom, owned and operated by British Rail. It was introduced experimentally on 1 April 1963. It became defunct in 1999. But you’re running a smaller business, right? The same rules apply. And crucially, your competition might not even come from where you might expect! So, I’m suggesting you do what I do when I start working for a new client: I do a competitor analysis. 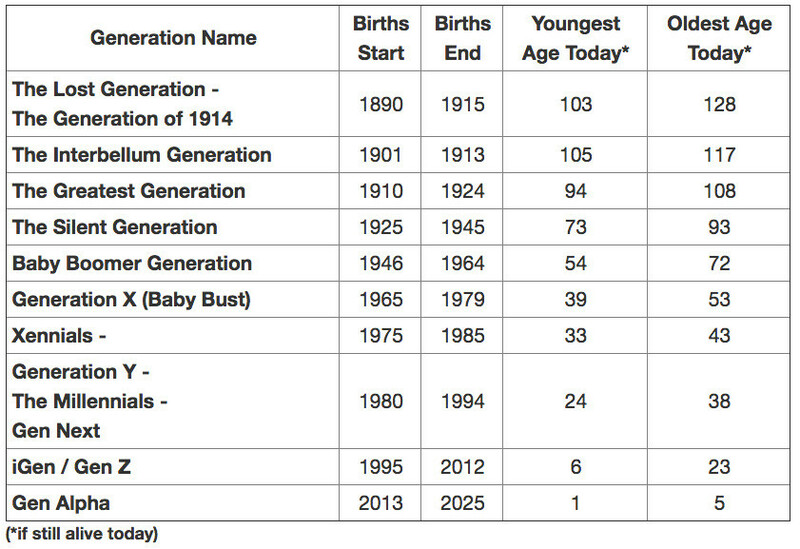 That analysis might look a little like the list of questions below (for the sake of this demonstration, we’ll call the company Green’s Accountants). Who else provides the service you do? How switched on are you to using the growing number of cloud accounting services, such as Xero, Sage online etc.? 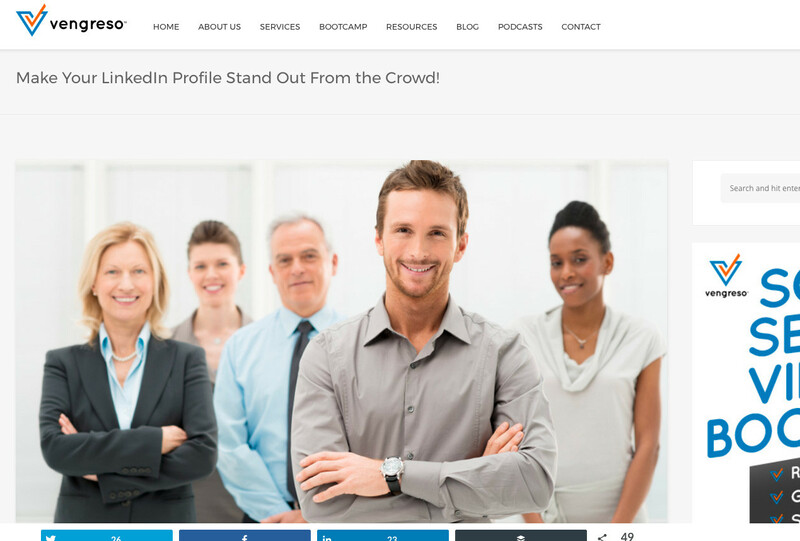 What’s your client profile and do you want that to change? Bigger, smaller? Could your client base reduce through the onset of technology and the use of online platforms? How will HMRC’s move to ‘Making Tax Digital’ impact on your clients? How welcome do potential customers feel when they call you? Answering services can lack the tactile handling of clients and potential clients, and can demand a lot of information that the people calling your business may not be inclined to divulge. On some of the benchmark basic accounting services (e.g. a 5-person limited company, sole trader, larger SME etc. ), how competitive are you? What does the customer experience look like? I’ll mystery shop the company I’m about to work with, as well as their competition! What services could you be offering that your competitors do? Could you be training on the new Saas (Software as a service – Xero etc.)? Could Google, Amazon, Apple or Facebook start offering something that could erode your margins or even your complete service? Should you be open on Saturday and Sunday? The world in which we live is an unforgiving place, forever changing and developing at a speed that is sometimes difficult to reconcile. Business is harder to win and it seems loyalties just don’t exist in the way they used to. So it’s more important to understand what your competitors are doing and charging for the services or products you all provide. It’s as important as the customer experience you provide too. And what about those voices that say ‘we’ve always done it this way’? Time to move on I think. If you’d like assistance in getting your proposition sharpened and honed as well as understanding what can be done to create a genuine competitive edge, why not have a chat with me? It’ll cost you nothing and it might just make the difference you need. There is so much marketing jargon around it’s often difficult to know what’s important and what is not! Before someone purchases a product or service, they are exposed to numerous marketing touchpoints. And these touchpoints include everything from TV advertising, comparison sites, Amazon, outdoor posters, email marketing, Facebook advertising – in fact, any marketing channel. And perhaps the biggest change, and I think it’s a truly insidious one, is the way in which targeted messaging will continue to evolve to deliver what advertisers know we like or want. Targeted messaging? Remember Tom Cruise getting his eye scanned in the futuristic film Minority Report? The poster site scans his eye and delivers targeting messaging to him. An important point to remember Think about paid advertising on Google for a moment. You want a service or a product, it could be a solicitor or a trampoline! You bash in ‘divorce solicitor Swindon’ or ‘cheap trampoline’ to the search engine. Google delivers the results, you click and you buy. Simple. So that’s called ‘Last click attribution’ and it’s a fundamentally flawed model. Obviously Google think it’s pretty cool, as they pick up 100% of the credit! There is a bigger picture here, away from online and blurred statistics. It’s not about whether you pay for any online advertising, or how much you spend on SEO. Rather, it has to do with reassurance. Most of you reading this will be in business selling a service. That could be accountancy, training, printing, legal services, advertising and marketing, dentistry, hospitality, recruitment, catering, even funeral services. The customer journey starts with a defined need. The customer then starts to look for the service or product they want to fulfil the need. And they find your business (you hope!*). So is it a done deal? Emphatically not. The potential customer needs to feel reassured that you can deliver what they need. And if you’re not looking great for every touchpoint, then it’ll be your competitors that will be sending the invoice out. It’s all about not getting bogged down in the jargon and the metrics. You can spend a fortune getting the customer to your business. Be that through any number of marketing channels. But, if you’re not looking the part, and if your potential customers are not impressed and reassured, they’ll walk on by. Perhaps your marketing is just too dull? We all want more sales – that’s a given. And yet, so many businesses just don’t seem to understand the marketing basics that drive those elusive sales! So today, I’m asking you to look at what your business does, and to then ask yourself some really simple questions. The thing is that while there are millions of businesses in the UK, selling all sorts of products and services, (and I’m including charities in this equation too!) you might think that marketing needs to be complicated with special sector knowledge in order to drives sales. Well, it doesn’t. Sure it needs insight and skill, but the rule is the same. There’s the marketplace (your customers) and then there’s your product or service or charitable offering. That bit rarely changes. What do we need to put in front of our customers so they say: ‘I’d like one of those”, or “we need that service”, or “I’d like to give to that charity”? Unfortunately, this simple question is not often answered correctly. Now have a look at the little video clip. 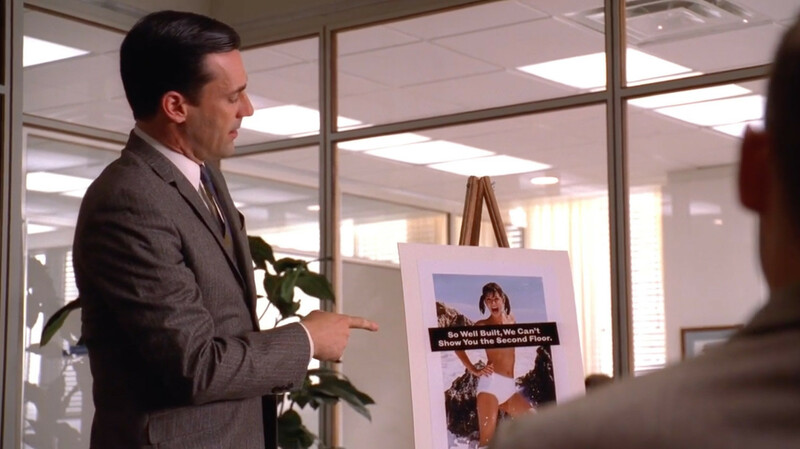 (For those of you that have arrived at this blog without reading my email, this is a short clip from ‘Mad Men’ the classic TV series portraying the glamour of the Maddison Avenue ad agency scene in the 50’s). The clip is less than 3 minutes and may make you smile! See what point Don is trying to make to his client in the clip. He is asking the client to stop thinking about what THEY want and look at what the CUSTOMER wants. And that is where things usually go wrong. Why? Because in marketing, it’s never about you, it’s always about the customer. And this IS just the tip of the iceberg. A veritable smorgasbord of self-obsessed marketing mediocrity. • Provide a product or service that is well priced, and does what it says it will do. • Get things sorted super fast if things go wrong and never be defensive. Now look at your business and ask if your marketing does these things. And crucially take a look at who is saying them. Is it YOU, or is it your CLIENTS or CUSTOMERS? And before you answer this seemingly innocent question think about yourself for a moment as a consumer. • Why do you choose Waitrose over ASDA? • What’s your decision-making process when choosing a restaurant in a town you have never visited? • Who do you ask when you need a plumber or builder? • When you need a solicitor, what’s going to be the deciding factor? • When you want to give a donation to a charity, what sways your decision? The people that you desperately want to buy from your business are the same as you. They need to feel reassured, nurtured, sometimes cajoled and always made to feel that the decisions they make are well founded. Now, have a look at your marketing – and that’s everything that is customer facing, from the way you answer your phones and how effective your sales process is, to how you look online, the way you manage customer enquiries and complaints and how you then deliver your service or product. To thrive, you need to be better than the competition – not necessarily the best, just better. And in a world where nearly everyone claims to be a marketing expert, it can seem like a difficult place. So we started with a question: Perhaps your marketing is just too dull? Well, chances are, it probably is! And you’re not getting noticed and, consequently, you’re also not getting the sales you seek. It’s also not about being flashy, or overly ‘disruptive’. It’s not about guerrilla tactics either. If you need a little help answering that question, then get in touch. What’s the conversation going to cost? Nothing. Finally, if you think charities are any different, think again. They provide a service. The service is funded by donations. The difference is that it’s not the end-user that pays for the service. And just like your business, you need to work harder than ever before to keep profitable. Thank you for reading and if you found this blog of interest, why not share it with a friend or colleague? Personality: Why it matters so much for businesses selling high value consultative products and services. Think about your sales cycle for a moment, and then imagine the scenario below. Dave, Sales Director at ABC Services Ltd in Dorset, has just won a cracking new bit of business and now needs to strengthen his team to help deliver the project. 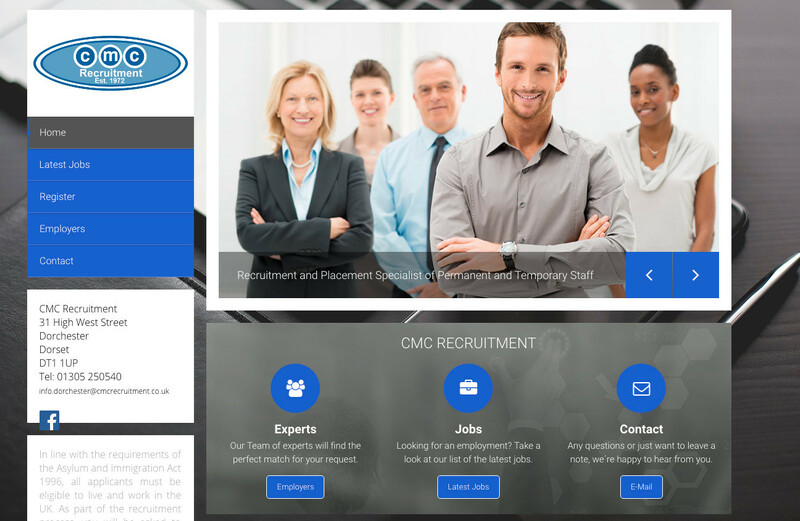 He looks online and finds local recruitment firm CMC Recruitment. They look like they may be able to help. Dave is just about to pick up the phone, but something is niggling him. Hasn’t he seen that home page image before? 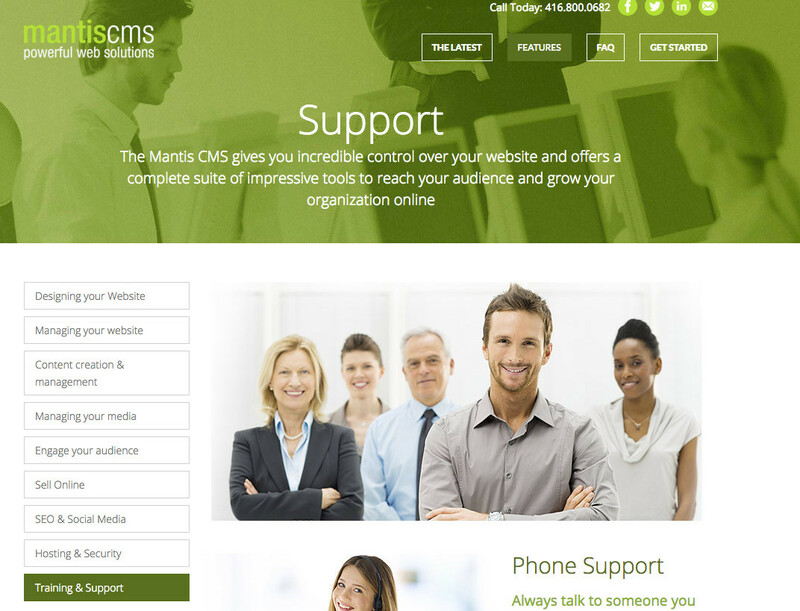 And why can’t he ‘meet the team’ at CMC on their website? Dave pauses… and decides to look elsewhere. These new appointments are far too important to take the risk. And how come the people at CMC also work at all these other companies? See below! Every few days, I have a conversation with a company about new business, and they all tell me the same story. “When we can get in front of the right people, we can usually close a sale”. Well if that’s true, and I suspect it probably is, then why reduce your chances of getting that first phone call or meeting by having a website with identical images and pictures to1000 other companies? You’ll always get checked out online, so why have a website without a personality? So is it just about the pictures? Unfortunately, no it’s not. It’s just the beginning of the issue. Imagine you’re away on holiday in a town you’ve never visited, and you’re looking for a bite to eat and a drink. You see ‘Bistro Pierre’, it looks nice and you peer through the window to see if you like it. You make a snap decision that, consciously or otherwise, this looks like the kind of place you’ll feel comfortable in. When you land on the home page of a website you do exactly the same. And how long does it take before you decide to look elsewhere? About 3 seconds! So perhaps it’s a job for the CRO (Conversion Rate Optimisation) expert to sort out the home page? Well, no not really, because you’re selling a ‘high value consultative product or service’ and it’s more complicated than just driving traffic to the checkout page! So we need pictures of our people and we need to tell people what we do? Your website visitors know what you do – remember, they searched for you and now they are on your website. Your visitors need to feel they are ‘in the right bistro’. Not just any bistro. They need to feel sufficiently comfortable and reassured to take the next step. And that’s to ask for a table and to have a conversation with the waiter….! So how do you create that feeling of comfort and reassurance so that the visitor feels they have landed in the right place? Your place. That IS the million Dollar question. Why not have a chat with me, Nick Sladek, I’d be happy to share my thoughts with you about your business and what you could do to start more quality conversations. I was in the car yesterday following a bus through Bath. On the back of the Bus was the ‘bus back’ poster below. I looked hard, I had no idea what it was all about. Even when I looked at the photo after I was home I was still none the wiser. So how might this all have come about? (After a little research I discovered it was an ad for the Bath Preservation Trust – a worthwhile and interesting charity in Bath). Now I can only speculate here, but I imagine this journey started with the Trust wanting to ‘raise its profile’. Why? To attract money and support I suspect. Bus back advertising was presumably chosen because it’s a good value marketing channel designed to deliver the message to the ‘right people’. More about that below! The designer was briefed, the design was signed off, the artwork provided to the bus back printers and the campaign went live. Putting to one side for a moment the issues of relevant media, targeting and messaging, perhaps the biggest rookie mistake was in not understanding how bus back advertising works. Signing off a design from an emailed or even printed PDF fails to take into account the fact that a bus back, like any other form of outdoor advertising, is a ‘fleeting medium’. It needs to work very fast indeed if it’s not to be ignored. AIDA – attention, interest, desire, action! This old marketing acronym is as relevant today as it ever was. Have a look below at my favourite, and most enduring, example of an effective ‘fleeting’ poster. Is anyone in any doubt about this poster’s message? Look back at the Bath Preservation Trust’s bus-back message – you’ll see what I mean. 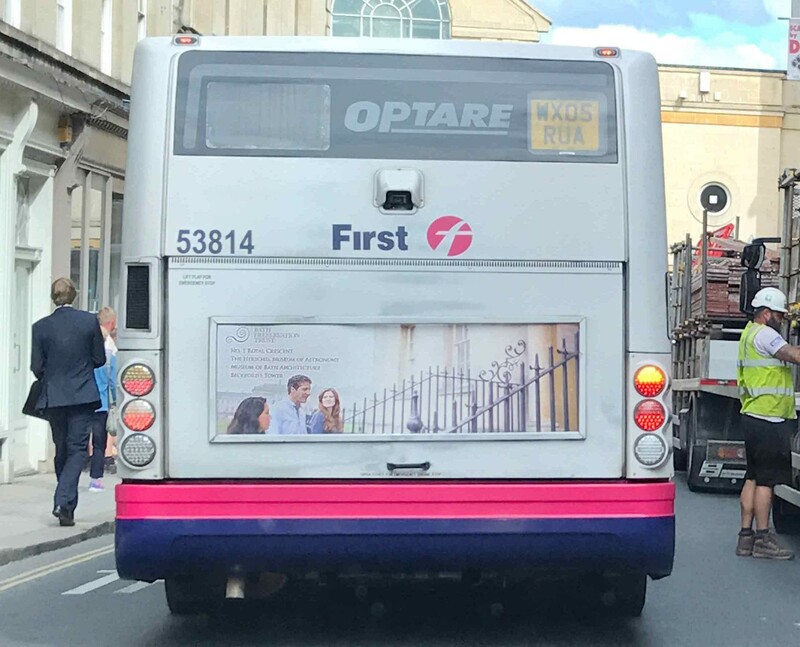 There is then the issue of messaging and targeting – and again there are some rookie mistakes on Bath Preservation Trust’s bus back. Am I really about to suggest to you, the reader, that a marketing message requires a proposition of some sort? Something to entice the prospect in, something to create some interest and desire? It seems so! Actually, my rant is not really about this bus back. It’s more about what I see in the world of marketing: a lack of understanding about how to build effective marketing campaigns that deliver against the brief. That brief might be direct sales, or just raising awareness, that in time leads to sales. And by ‘sales’ I mean anything that attracts the customers to transact; be that a charity wanting donations, or visitors to a venue, or an IT company or solicitor wanting more clients. I do think that the way many companies now buy their marketing services is partly to blame. What do I mean by this? Well, ‘who you see is what you get’. Whichever marketing specialisation you choose, from the social media expert, or web designer to the ‘design for print’ marketing company or even the media company selling bus back advertising, you’ll end up with a proposal for their products and services. It’s just not joined up, is devoid of effective, strong messaging and lacks a coherent marketing and sales strategy. And that often means you’ll end up without the one thing you need. Those elusive sales or engaged customers and prospects. Perhaps you’d like a chat about how your business or organisation could be getting more for less? That’s more engagement and sales, with less waste. Feel free to get in touch, I’d welcome the opportunity of a conversation.